*Update: I tried this recipe with 2x parsnips tossed in 1 Tbs. melted ghee, roasted at 350 for 1 hour-ish…The result was just a little smoother in consistency and really delightful. 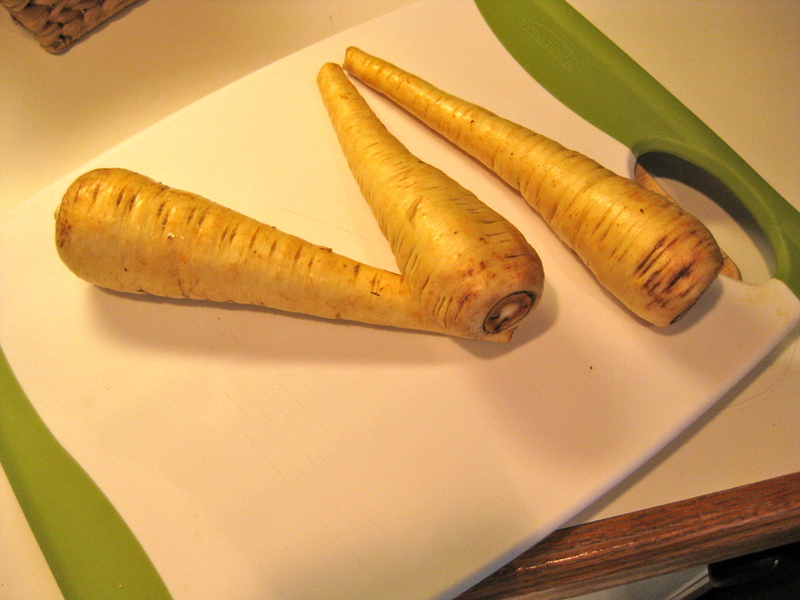 Although this bunch prefers to make cooking with Parsnips more difficult than it needs to be, the recipe that follows is extremely simple and delicious. 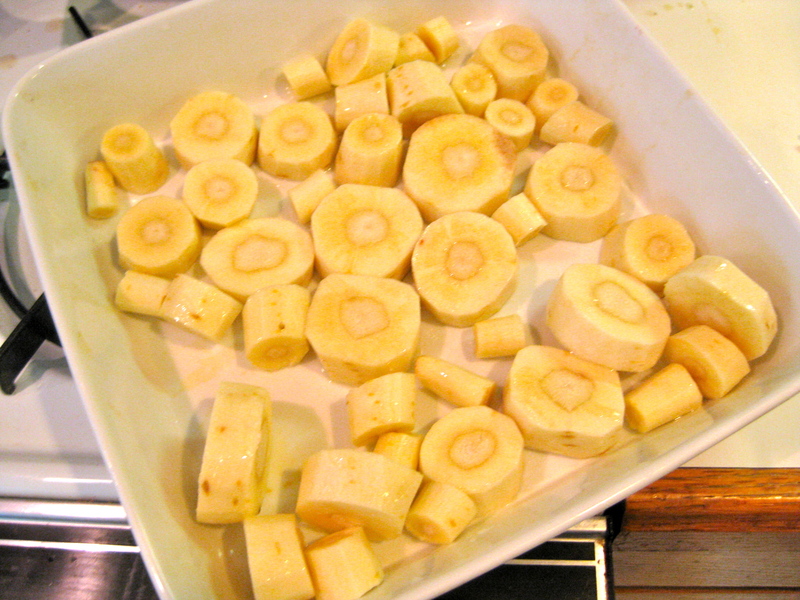 Peel a few parsnips the same way you would a carrot (one large parsnip per person is a good side-dish estimate) and chop them into chunks about 1/2″ long. You can choose to cut/pop out the centers (like we did with carrots when we were younger) or leave them in, though the center seems to have a slightly different texture. Toss with a bit of oil and roast at 400 degrees for 40 minutes. Keep roasting if they're not the right consistency for puree-ing. I kept the centers in. Parsnips, don't make me regret that. Once you're satisfied with the SOYP (State Of Your Parsnips), throw in the food processor with 1/4 cup of coconut milk and 1 tsp. cinnamon. Puree. Add coconut milk to reach your desired consistency. Top with a dash of nutmeg, and even some grass-fed ghee. I plan on toying around with this recipe during the holiday season – perhaps even as a dessert! The final product can be seen on 30 Days – Day 8.